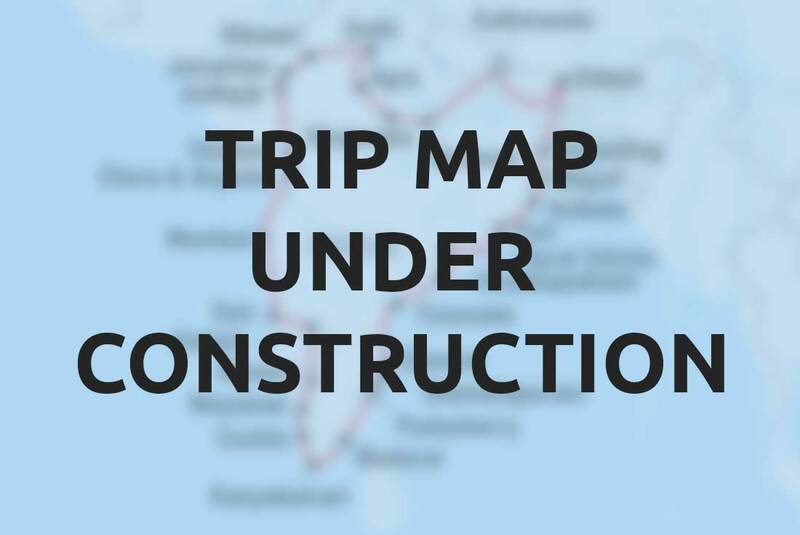 This incredible journey takes you through parts of Central Asia that few people can find on a map, let alone have considered travelling to.. The much-photographed Registan in Samarkand is one of the true pinnacles of Islamic architecture. You’ll be wowed by the scale, grandeur and beauty of the monuments to iconic figures such as Tamerlane and the Persia-influenced madressas, mosques and mausoleums.. 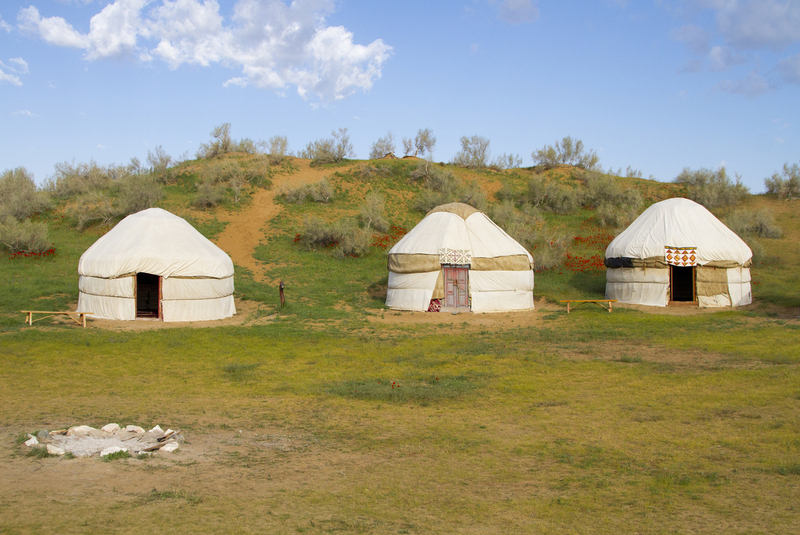 Spend an evening in the isolated Kyzylkum Desert, warming yourself by the fire and sleeping in a yurt.. Get to really know the stories and people of Uzbekistan while sharing home-cooked meals with local families, including a home stay in the remote Nuratau Mountains. With over 100 architectural monuments scattered throughout the city, there's plenty to be seeing in the well-preserved ancient town. Today, enjoy a full day city tour through sites and places that are steeped in history. Visit the iconic Kalon Mosque and Minerat, one of the most impressive with a view of the city. Stop at the Lyabi - Hauz Plaza, built about 400 years ago around a pool, still full of the old world feel with its picturesque backdrop. Chor Minor, the 4 cornered Minerats stand right behind it too. 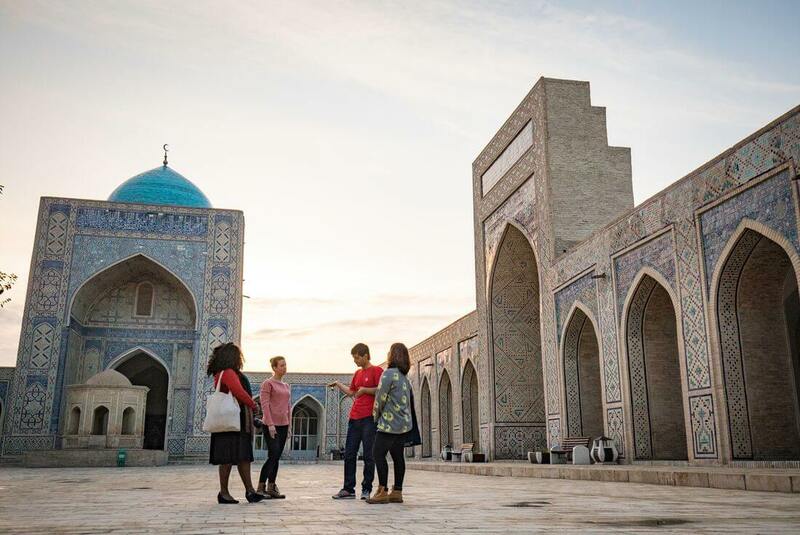 Don't miss Maghoki - Attar Mosque, which is the oldest mosque in Central Asia built in the 12th century, but was once a Buddhist and a Zoroastrian temple before that. 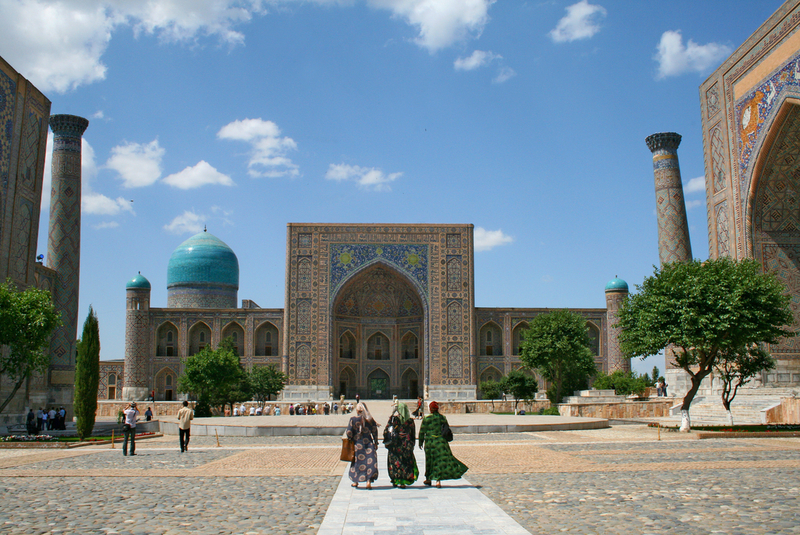 And Ulugbek Madrasah, the first in the city. If you are still energetic after a full day's exploration, perhaps take an optional visit to Hammam Bozori Kord, the oldest Turkish-style bathhouse in Bukhara, before a free evening in town. 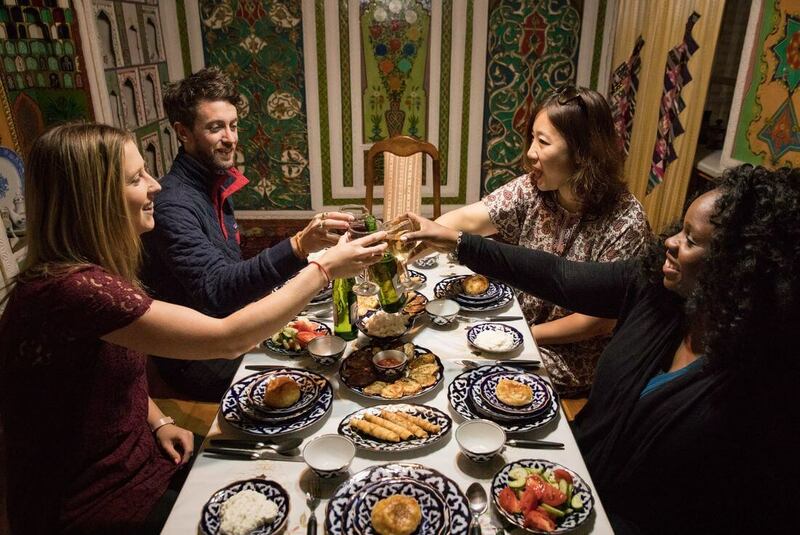 Your leader can help with suggestions on where to find some authentic Uzbek fare for dinner tonight.